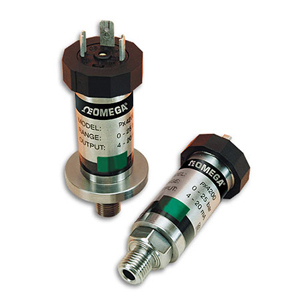 OMEGA’s PX4201 Series Transmitters bring state-of-the-art Silicon-on-Sapphire (SOS) sensor technology to the industrial arena. SOS construction uses very stabile solid state silicon strain gages on a Sapphire carrier which is glass bonded to a titanium diaphragm. This combination provides a very durable transducer which has excellent stability over a wide temperature range. Additionally, the all titanium wetted parts provide maximum corrosion resistance to harsh industrial chemicals.